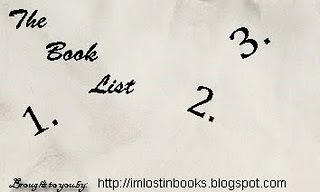 Rebecca's theme choice for this week's list is Three Books I've Read Over and Over. 1. The Eyre Affair by Jasper Fforde -- Because I frequently re-read each book in a series if it's been a long time since the last book, I've read this one at least five times but probably more since I love it just on its own. 2. Dirk Gently's Holistic Detective Agency by Douglas Adams -- First introduced to this one by my now husband when we were in college, I love the smart humor and extreme oddity of this one. I think I last read it around the end of 2007. 3. The Ground Beneath Her Feet by Salman Rushdie -- This story of unrequited love has the colorful background of India, the rough and tumble world of rock music and the wonder of photography. I pick it up every few years. Of course there are many others but these I read over and over because they make me happy. What books do you read over and over? I love The Ground beneath Her Feet - it was the first 'adult' Rushdie I read (The first Rushdie book I ever read was Haroun and the Sea of Stories which he wrote for children but all of my friends read it and loved it. The Eyre Affair too, I'm going to re-read shortly. The three books I read over and over are probably all Jane Austen's works, again, yes, because they make me happy. But there are other authors - Kate Atkinson's Human Croquet and Emotionally Weird are two I've re-read a few times, LoTR I've read four times, Jane Eyre is another classic I love to re-read. Sorry that's more than three. My fiance wants to read the Douglas Adams book. All of them. I've read all of the Hitchhiker's books, but nothing else yet. Great list! I think I must do this meme as well (but I'm a huge re-reader like you, and I'm not sure I could limit it to 3). Douglas Adams & Jasper Fforde are special in their absurdity, aren't they? Lots of yay for The Ground Beneath Her Feet! I was flipping through it the other night when I was cataloging all my books and thinking how nice it would be to reread it. I haven't read any of these, but The Ground Beneath Her Feet is right up my alley! I need to read that one for sure! Darn it! I've had Rushdie's book on my shelves for years and I really don't know what I'm waiting for. I loved every book of his and then I just stopped reading him :(. I've never read anything by Adams and this also must be corrected. Awwww...your husband introduced you to a book you love! How sweet! You know I love to re-read!!! Funny thing is . . . I haven't read any of these on this list! I've been meaning to read Rushdie and Fforde, but never have. I really need to!! Tracy - I read it after a couple of the more difficult Rushdie books so it was like a breath of fresh air -- with his same strength of language and prose but with a more accessible topic. I think I might read it again this summer because it's been a few years and I miss the characters! Human Croquet is on my TBR list. I've read Jane Eyre loads of times too! Paige - Dirk Gently is mostly set on Earth so it's a bit different from the Hitchhiker books. More "human", so to speak. Celia - Those books really succeed in taking me out of daily life and to another reality. I love that! Jenny - I hear ya! Just talking about it made me want to read it again. Rebecca - I would love it if you read The Ground Beneath Her Feet! Lilly - It's a different sort of Rushdie. Have you read Fury? I think those two books are somewhat in their own category although I think they are similar to parts of The Satanic Verses. Jenners - Isn't it? But really we were just poor college students and so I started going through his shelves and reading anything I was remotely interested in. I went through a lot of Vonnegut and stuff but this is one of the few books that became a favorite. Tif - Yay for re-reading! This is a good Rushdie if you are intimidated by him because it's less heavy on the magical realism and it's set in modern times. And I think you should definitely at least read Fforde's nursery crimes books with your fairy tales focus right now! I am definitely going to check these out! I went to the library today to actually look for them, but alas . . . it was closed! :( I will try again later this week!